Hi guys! I hope you're having a good Memorial Day today if you're in the US. This weekend is the Raleigh Pen show so I'll be working that for 3 days. Hopefully I'll be able to work ahead on swatches and posts so it won't affect the blog. 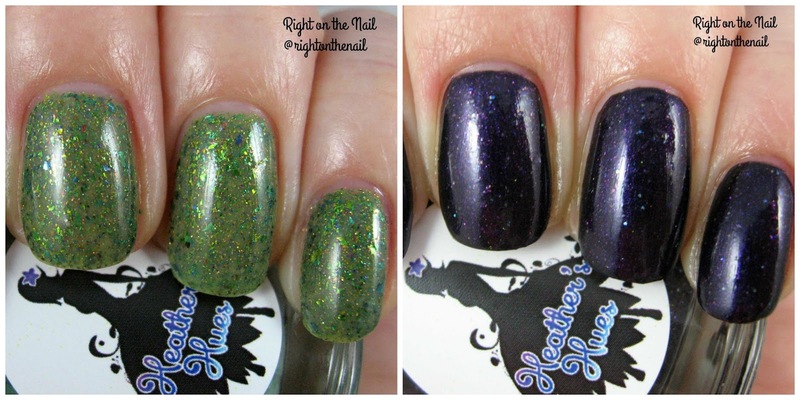 Tonight I have the 3 limited edition polishes that will be released on June 1st at 3:00 PM EST in the Great Lakes Lacquer Etsy shop page and will be available through July 2nd at 2:00 PM EST. The polishes are loosely based on the latest Pantone's Colors of the Year, which are Rose Quartz and Serenity (click the link to see what those look like). Yup, this year there are 2! Follow me after the break to see what Mariah cooked up for us this month! Hi guys! Who has plans for this 3-day weekend? Don't forget, no mail on Monday. It's Pizza Friday yet again, so I figured I'd get this post up before I go into a food coma. Tonight I have polishes from a brand I talked about a couple weeks ago called Heather's Hues. After talking to the Heather, I found that she lives close to where I work! We're hoping to have a NC meetup sometime soon (let me know if you live in NC). I ordered these polishes during her $5 sale, and she still has some available if you're interested. Ok, on to swatches! Hi guys! The week is flying by, right? And I can't tell you how excited I am about the long weekend with Memorial Day coming up. Oh, and I still haven't seen who won Dancing With the Stars, but so far I haven't been spoiled. Tonight I'll be finishing up the Seashells Collection, and next week will feature the Sunsets (cremes) Collection. Follow me after the break for more pictures and my thoughts! Hi guys! It's a little sad that I'm so excited for the finale of Dancing with the Stars AND the Bachelorette premiere tonight! Anyone else but me watching? I'm doubly excited about reviewing the latest Zoya collections coming at you for this summer season. There are 2 separate collections (the Seashells and Sunsets, respectively) for the summer and I have both of them to review for you. The Seashells collection reintroduces the famous Pixiedust formula that Zoya hasn't done lately while the Sunsets feature bright cremes. 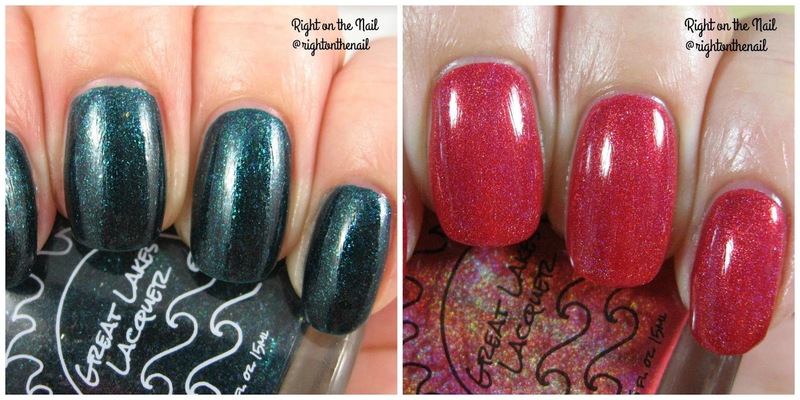 I'll be reviewing the first 3 colors of the Seashells Collection tonight, so shall we get started? Hi guys! I'm so happy it's the weekend, despite not having any plans. It's Pizza Friday, so I figured I'd get this post up before I go into a food coma. Tonight I have a polish that's been in my folder for far too long. I don't actually have many Formula X polishes, mostly because they are pretty expensive (retail $12.50). Destiny is a cornflower blue with lots of pink/purple shimmer. 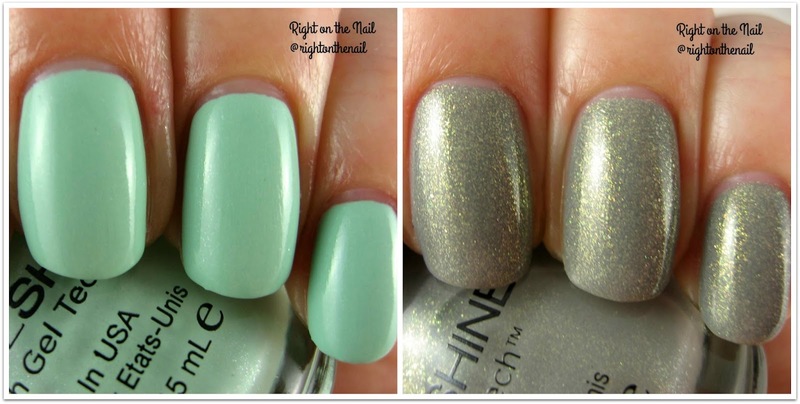 The other polishes in The Brushed Metallics Collection have a matte finish...except for Destiny! I don't even think it dried to a satin finish, so I ended up just adding topcoat. It's a beautiful color with beautiful shimmer. Also, it's not even metallic like the rest of the collection. Seriously, why is it in this collection since it's not metallic or matte? Destiny is still available through Sephora if you are interested in purchasing it. Hi guys! I hope your week is off to a great start. Tonight I have a brand that is new to the blog, but I've been meaning to buy from them for many months. I've always enjoyed Great Lakes Lacquer from all of the swatches and reviews I've seen, but it wasn't until The Sunset Dissected collection was released that I knew I must purchase. I'll explain more about this in a post later this week, I promise. Every month Mariah, the owner, puts out polishes that are limited editions that you can just purchase that month. I have the May limited edition polishes to show you guys tonight, and they will be available for purchase through June 1st on her Etsy site. Hi guys! 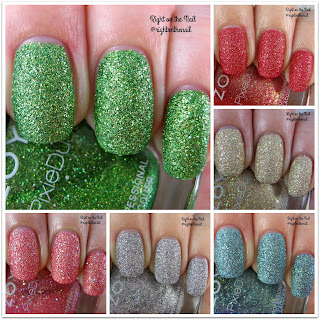 You may be wondering why I'm posting pictures from last year's OPI summer collection, and that would be fair. I somehow lost these pictures of that's Hula-rious in my Pictures-to-be-Posted folder for a few months. Oops! Better late than never, I suppose. It's a beautiful light mint green creme. I'm always a sucker for mints when the weather starts getting warmer, which means I probably have several dupes (or just similar colors) in my massive collection. 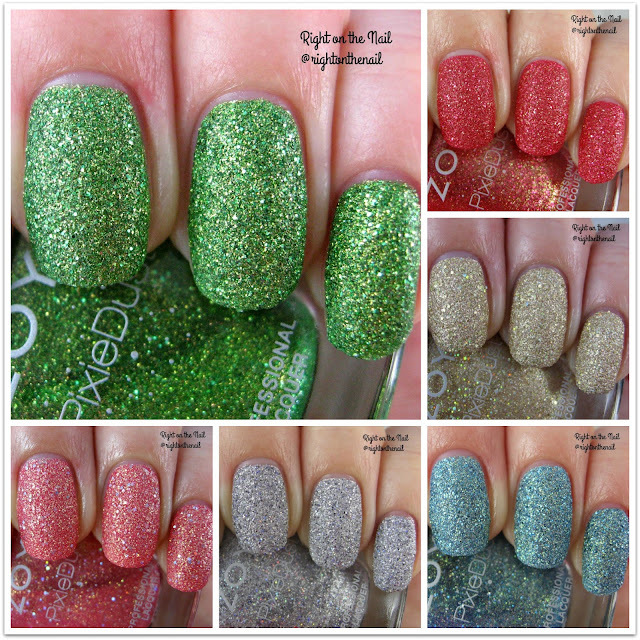 The formula was on the better side for OPI (not to say that OPI has a bad formula at all; they just seem to be inconsistent sometimes). The first coat was a bit streaky, but it evened out nicely in the second. OPI polishes retail for $10.00 and you can find them at your local Sally's Beauty Supply and Ulta stores. Despite the lateness of this post, I believe you can still find That's Hula-rious. Find out more information about OPI on their Facebook, Instagram, and Twitter pages. Hi guys! Back in March I bought my first ever Target Subscription Box. I loved the box, but they've been raising their prices for the past few months (the one I got was $5, I believe....April was $7, and May was $10). I know the price point depends on what's in the box unlike other subscription boxes, but I still felt like they should all be $5. It also differs from other boxes in that when you sign up, it's only for one box and you must order again every month. It seems like the boxes usually go on sale around the 1st of the month during the very early morning hours on EST. 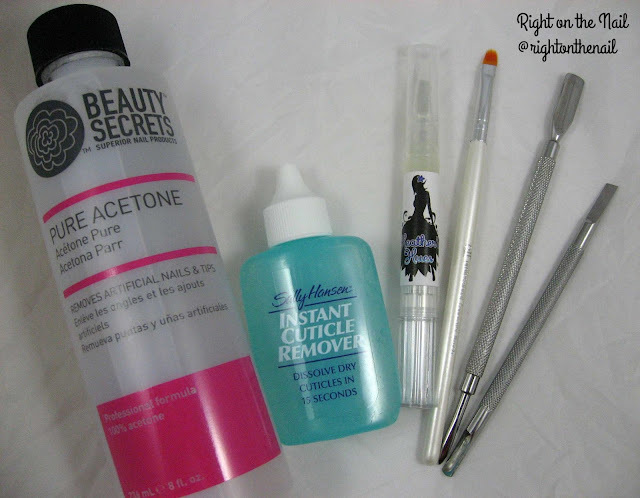 Anyway, my March box contained one full-sized SinfulColors polish in Lie-Lac which is a blue-toned lilac creme. I often find the formula on SinfulColors polishes to be quite hit-or-miss, and this one just so happens to be a hit! It was smooth sailing with this one in just 2 coats. As I mentioned yesterday, the Kylie Jenner polishes and other SinfulShine polishes run $2.98, whereas the original formula (like this one) are only $1.98. Also check out SinfulColors on Twitter, Instagram and Facebook. Hi guys! Tonight I have 2 of the 20 King Kylie Collection polishes from SinfulColors to show you. I'll be the first to admit that I don't really understand the whole Kardashian thing. I mean, good for them making bank for just hanging out on camera and doing endorsements like these (and Kylie's lip kits which look like dupes from ColourPop). While I was at Walmart a few weeks ago I found a large display with these polishes, so I decided to pick a couple up to see what the fuss is about.